As we stepped into the beautifully restored A. Howard Bean Hall, rows of gleaming bronze plaques, honoring Alabama’s most outstanding women, welcomed us in. Pausing before the inscriptions on the plaques, we discovered the significant contributions each one of them have made to our state and nation. 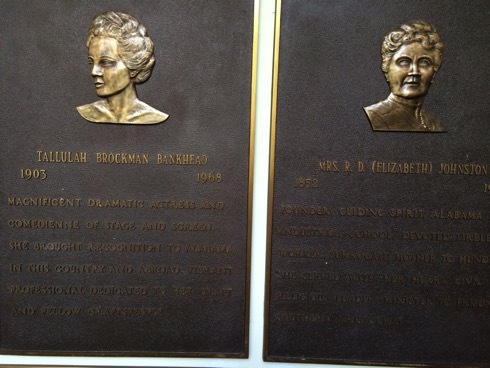 It was inspiring to get to “know” women like Helen Adams Keller, Julia Strudwick Tutwiler, Amelia Gayle Gorgas, Tallulah Bankhead, Mildred Westervelt Warner and others through original portraits, photographs, letters, and the bronze plaques. One of the most meaningful to me, is the plaque in honor of Blanche Evans Dean as I am a recipient of the Alabama Nature Conservancy Blanche Dean Award for Outstanding Nature Educator. 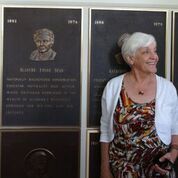 The Hall of Fame, celebrating and honoring women, is most appropriately situated on the Judson College campus. In 1838, at a time when formal education for women was rare, people with a vision began urging support for a school for young women in Marion, Alabama. One of the visionaries, Dr. Milo P. Jewett, came to Alabama to establish a school for young women that would provide them with the same quality of education that young men received at Harvard and Yale. The founders fervently believed that education for women would provide them with the opportunity to discover and develop their intelligence and talents to benefit society. After a pleasant lunch in downtown Marion, we toured Reverie a historic Greek Revival mansion built circa 1858, and now listed on the National Register of Historic Places. 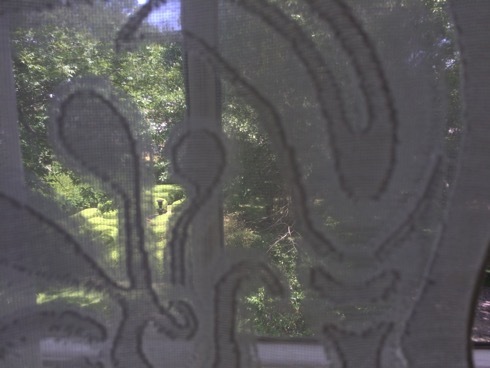 The original owner was Joseph Thompson Whitsitt, a planter and railroad investor. Due to wartime financial constraints, Mr. Whitsitt sold the mansion to a wealthy cotton broker. Union troops occupied the town of Marion and used the house as their headquarters. 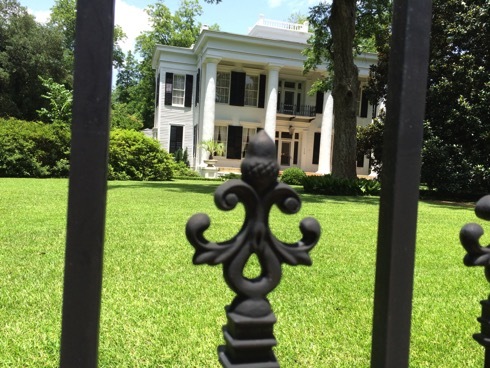 Framed by spreading live oaks, the white Greek Revival mansion with monumental Doric columns, immediately brought to mind Tara, the mansion portrayed in Gone with the Wind. 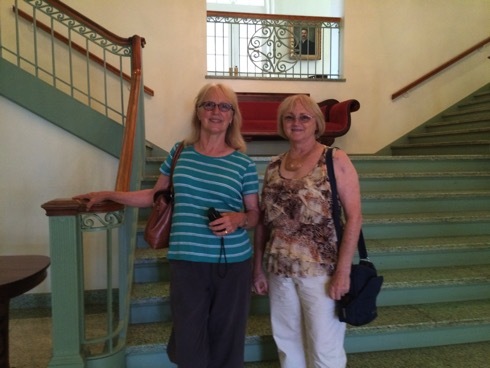 A gracious local guide escorted us through the meticulously restored home. 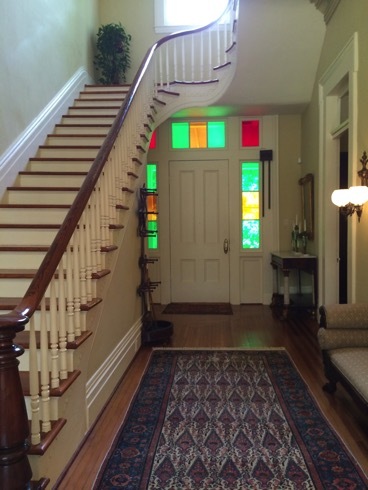 The original plaster moldings and medallions, ornate fireplaces, oak floors, highlighted the elegant period antiques. Our midsummer jaunt proved to be a most pleasant excursion, but also inspiring and educational one. 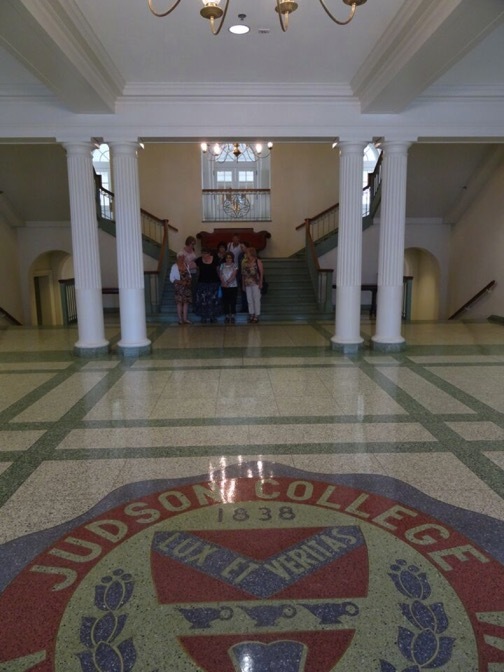 A personal reflection: Judson College and The Alabama Women's Hall of Fame celebrate, inspire, and honor the achievements of women. Indeed, women in America today fare far better than our foremothers. But the gains women have secured—the right to vote, working outside the home, laws that make domestic violence illegal—should not obscure the reality that there is still much work to be done on behalf on women, in America and around the world.